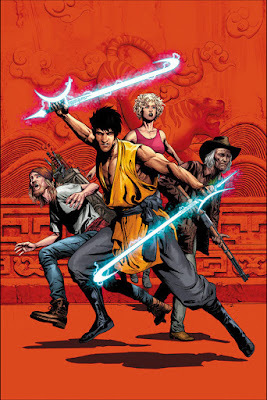 Comic books with a martial arts element usually catch my attention, so I was immediately drawn to the book given its title and cover. 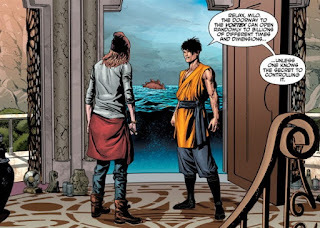 While I didn't grow up on Marvel's Masters of Kung Fu, I did grow up on Hong Kong's many stable of martial arts comic books or manhua like Oriental Heroes and the Force of Buddha's Palm. 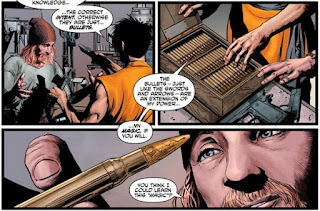 King Tiger at least in the very first issue has more of a Big Trouble in Little China feel to it than a Bruce Lee film. The reason is that King Tiger, the lead character is both a sorcerer as well as a martial artist. With the way the first issue plays out, there may be more of an emphasis on the sorcery than the fist of fury. When you first flip through the book what will catch your eye is the wonderful detailed artwork of Doug Wheatley. Combined that with the coloring of Rain Beredo, and you have one great looking book. The story as a first issue is more of a set up issue reintroducing us to King Tiger, his girlfriend Rikki and "caddy" Milo. The lack of action in the first issue is pretty surprising given the genre of the book. However it does enough to setup for the next issue with intrigue and villain cameos that hopefully the follow up takes it up several notches. Overall, I would recommend the book with reservations. I did not like the slow pacing of the issue though I give that a pass since it is the first issue. However, given that the series is only a four issue limited series if it is not extended to a monthly book; they have little room to entertain the readers looking for an action packed book. 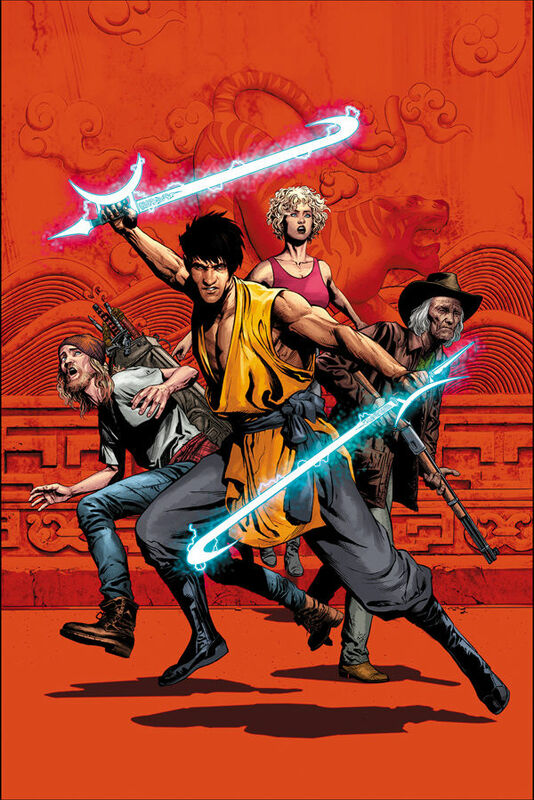 As I have said if you are a fan of films like Big Trouble in Little China or comic books like Iron Fist then you may want to give this a try.